The Mayor, Councillor Ann Norman, accompanied by her Consort, Councillor Ken Norman, recently visited ‘Gladrags’ the community costume resource which was founded in 1994. 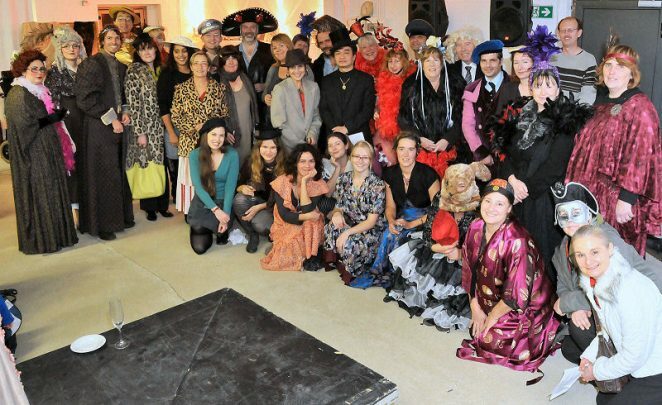 ‘Gladrags’, which is a registered charity, was created to provide affordable costumes and related resources to community, community arts, educational and therapeutic based groups to support and enrich their work. ‘Gladrags’ has a stock of over 5,000 costumes with a range of hiring charges running from £3 a week for community groups to £15 a week for private and commercial groups. They also hire out ‘Topic Boxes’ which contain items relating to a particular subject or time. These can be used, for example, in classroom activities or reminiscence groups and many others. Users of the service work with experienced volunteers who can help them make choices of costumes, aid with design of new costumes and many other aspects. If you are interested in being involved in this resource, to share your skills or even learn new ones, please contact ‘Gladrags’ on the email address below. Tony in front of the camera for a change! 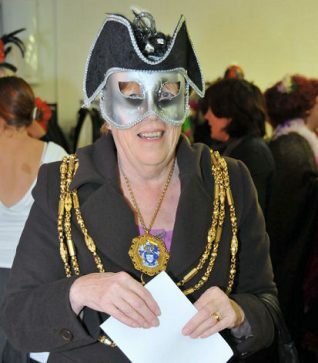 As you can see by the photographs here, the Mayor and her team enjoyed dressing up just as much as anyone. We are especially impressed with the shot of Tony Mould, our Chief Photographer, who was persuaded to stand in front of the camera for once. 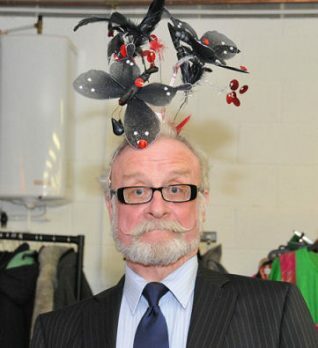 Don’t think that the ‘fascinator’ goes with the suit Tony!